In this post I will go over my current portfolio status. The portfolio has been growing at a faster rate recently due to share price accumulation and some non-reoccurring income that I cashed in during May to June. I'll start the portfolio summary with a short summary of what the environment is like in the market. Let's start with some charts of various market KPIs. My Portfolio Charts are back up (link on top of page). The new charting tool is interactive instead of just being a standing picture. I had to break up the portfolio charts to two pages since there were too many charts to display on one page and it slows down the browser as the charts are not interactive. For my Watchlist charts (link on right), those are still under construction and should be back hopefully in another week. Looks like Scottrade has got bought out by TD Ameritrade a few months ago and this week TD changed the Scottrade embedded charting feature. 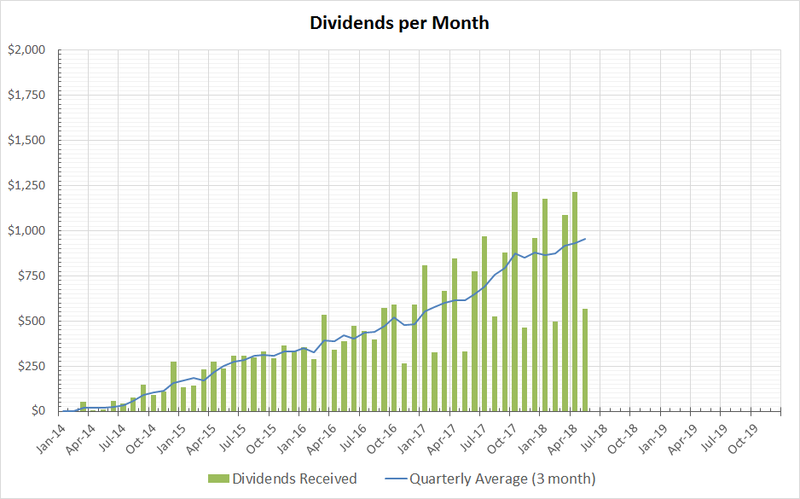 Here is the cash dividends I got in May 2018. May is a light month. In June month I am expecting $1230 and July around $1250. Nothing out of the ordinary. Dividends come in and get spent on more shares of stock. 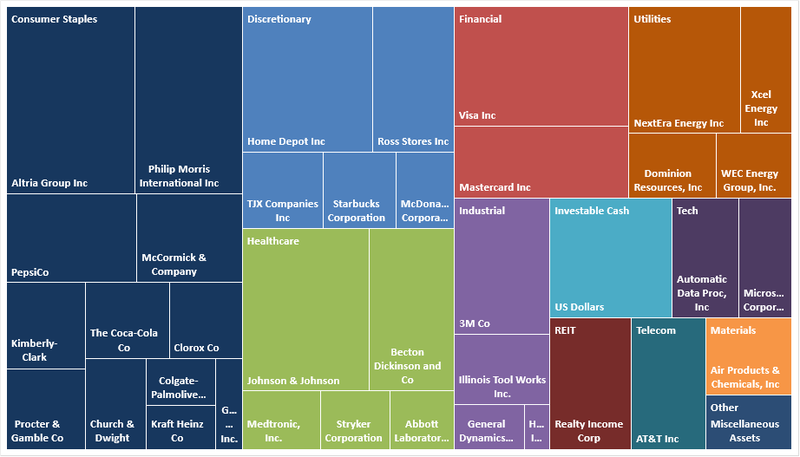 Dividends are continuing to grow at a constant rate.